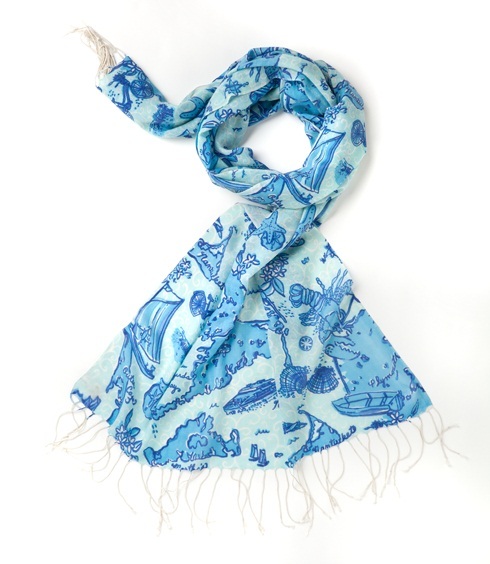 Isn’t this the loveliest scarf? Lilly Pulitzer, Cape and Islands Murfee. Saw it on Facebook yesterday, let it sit on my laptop browser overnight, and then bought it today. Don’t need it. Probably can’t really afford it. Only been to Cape Cod once. But oh – it speaks to me. It tells me a colour story in blue, cool summer nights over a white t-shirt, enamel bangles and strappy sandals. Cold drinks with beads of condensation sliding down them, dripping onto bare feet and bright pedicures. The smell of salt on skin, the rock of a deck over water, warm pears fresh from the tree, lush gardens, the adirondack chairs leaving grooves on everyone’s bare legs. A fence full of damp towels, hydrangea heads so heavy they bow to the grass, lemon squeezed in a pitcher of ice water. It has been a busy few weeks – Daddy’s birthday, our anniversary, and the best holiday in the world, Mother’s Day. Our crafty children have taught us that at gift giving occasions, it is best that they ALSO have something to unwrap. 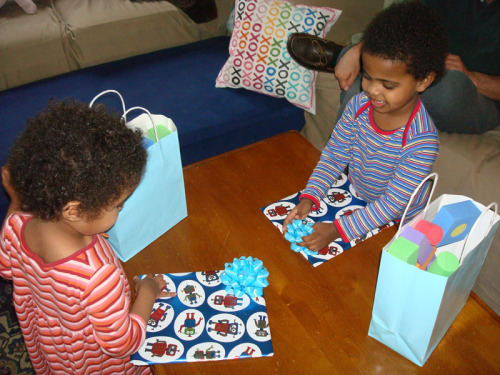 Here, they are unwrapping the presents they got for Daddy’s birthday. See how clever they are?